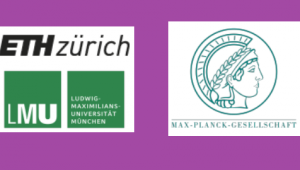 June 17-19, 2019, the Center for Law & Economics at ETH Zurich, the Chair for Technology and Innovation Management at TUM, the Institute for Strategy, Technology and Organization at the Ludwig-Maximilians-University of Munich and the Max Planck Institute for Innovation and Competition will jointly organize the fourth Munich Summer Institute. The Summer Institute will focus on three areas: Digitization, Strategy and Organization (chairs: Jörg Claussen and Tobias Kretschmer), Innovation and Entrepreneurship (chairs: Dietmar Harhoff and Joachim Henkel), and Law & Economics of Intellectual Property and Innovation (chair: Stefan Bechtold). CFP Deadline: February 24, 2019 via http://editorialexpress.com/conference/MSI2019/.